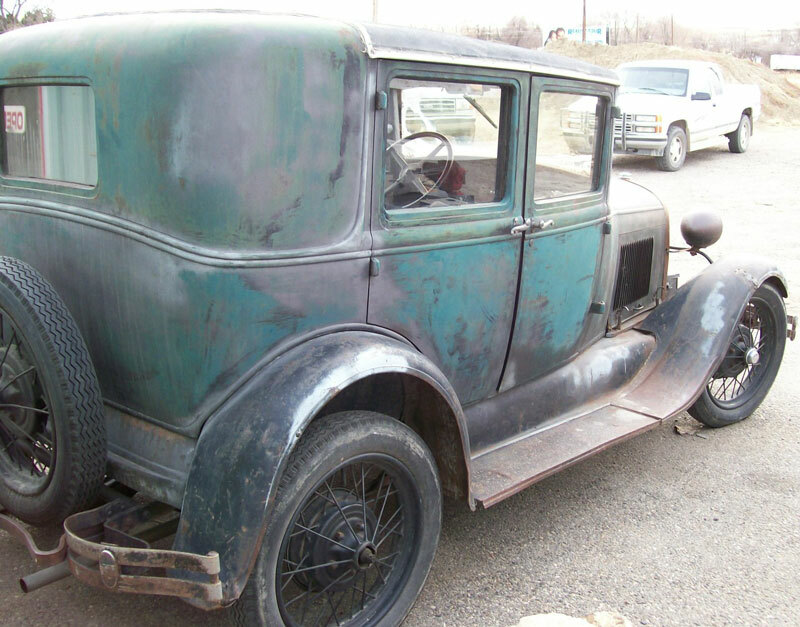 This green 1929 Ford Model A Briggs body 4 door sedan is a mostly all-original classic car ready to be restored, customized or used the way it is. The windshield is broken. The right front fender has a crack that has been reinforced and welded. Both rear fender fronts are dented at the running boards. There is a dent in the top of the left front fender. There is a crack in the left running board near the driver door. The interior is mostly all there. The doors are covered with modern wall paneling except the left rear door is not covered. The front seat has bee reupholstered. The rear seat is covered and worn underneath. The carpet is not stock. 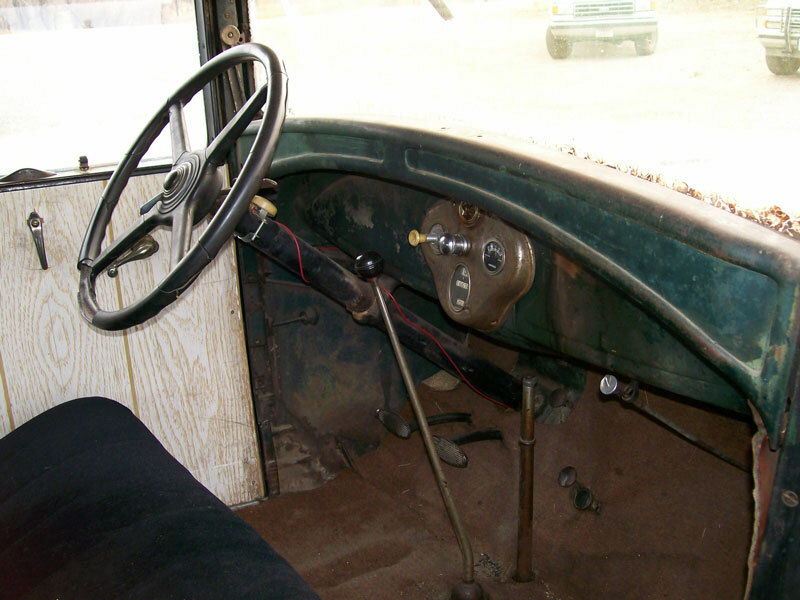 There is a horn button on the steering column and an add-on gauge under the dash. The steering wheel is deteriorated and a piece of the ring has fallen out. 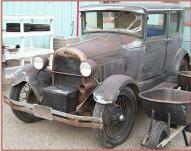 There is a tool box on the front and a tow bar with ball on the back. 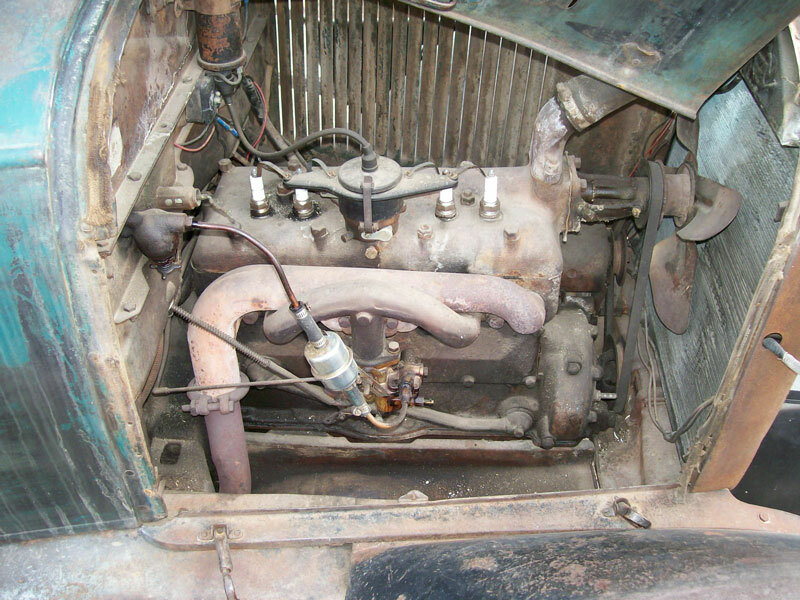 The 201 CID L-head inline four cylinder 40 HP motor and three speed manual floor shift transmission are all there. The car starts, runs and drives well. Don't miss this chance to own a 29 A Briggs 4 door sedan. 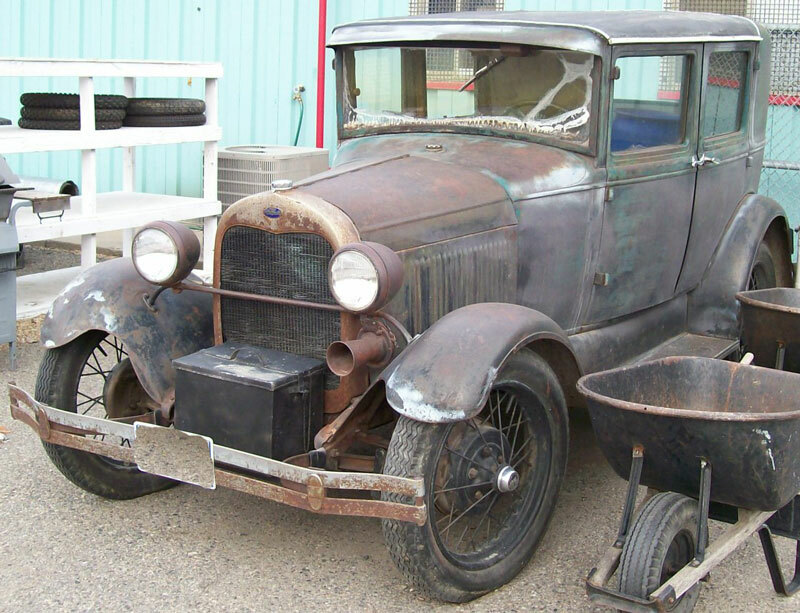 Please call (406) 318-0270 for details about this restorable classic 1929 Ford project car.